Vans announced a limited-edition line of sneakers inspired by David Bowie, with designs based on classic LPs. As NME reports, “Vans has taken artwork related to four of Bowie’s classic albums and worked them into the new shoes. 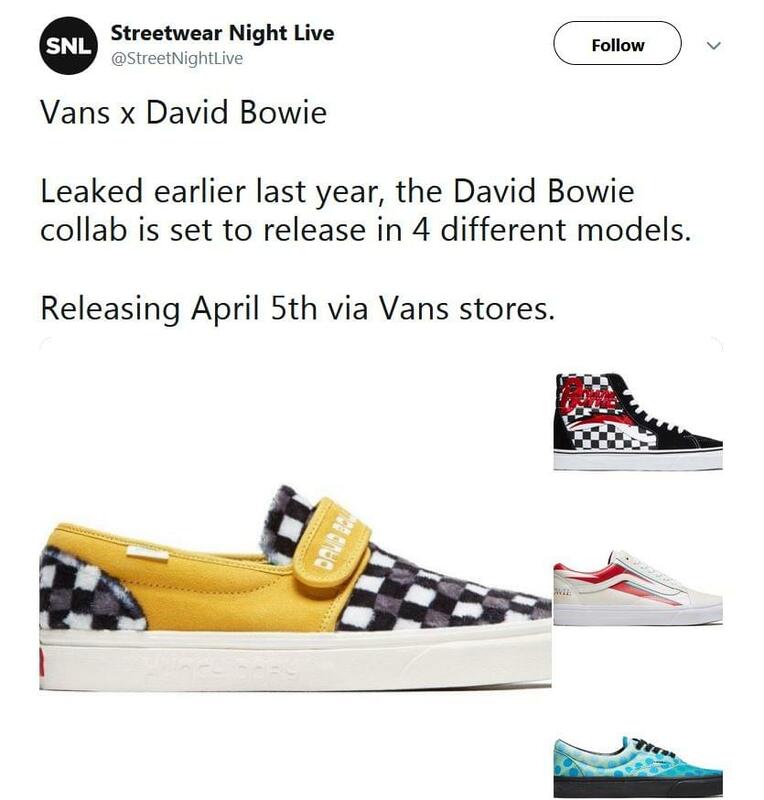 The lightning bolt of Aladdin Sane is represented on the Old Skool model, blue polka dots and the word “Space” from Space Oddity are on the Era, Hunky Dory‘s mustard yellow and typeface show up on the Slip-On and the bold red typeface and lightning bolt from the Ziggy Stardust period are featured on the Sk8-Hi sneaker”.